@Bet2Win wrote: Where is he? There used to be place called Flippers in LA, it was a nightclub/roller rink with a full bar and live music. I loved it! The geotag is Moonlight Rollerway. Thanks! Makes me want to break out my skates, if I had any. The time is now to reactivate your inner child. I just listened to Jacqueline Trumball's interview on Reddit. I'm surprised no one has mentioned it here in this thread as I specifically came looking here for thoughts. Take away... Jacqueline said she found Nick "smart and good looking" and she would have gone on his season. She's his type, IMO!! I read here that Ashley I deleted an instagram where apparently captured several girls from this past season socializing with him. I'm sure living in LA provides the opportunity for paths to cross at some point. “On Wednesday, Viall — who brought “a friend” to the event — said he’s not “not in a serious, committed relationship,” but is hopeful about finding the right person eventually. It should also be noted that Kendall, Bekah, Seinne and Jared were also there. Kendall and Bekah have IG stories from the event. 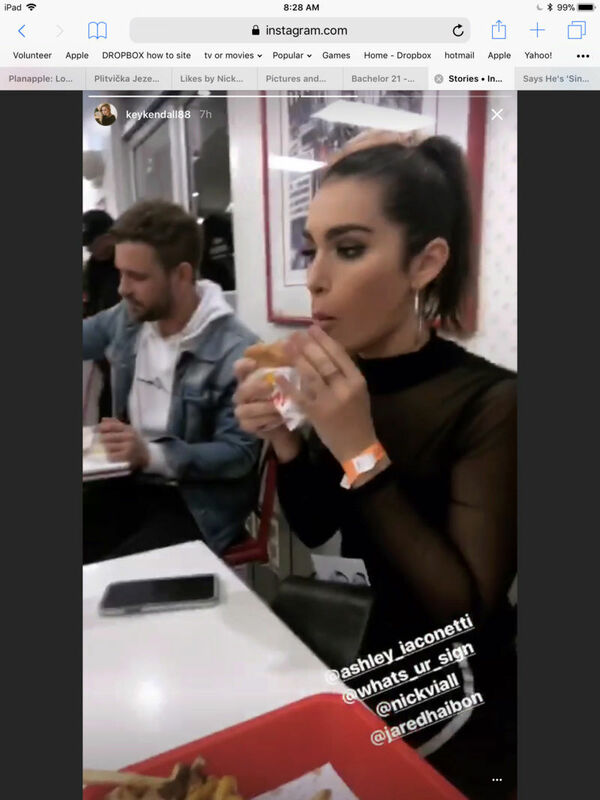 They must have gone out to eat as well since Kendall has one that shows Nick and Jared at one table and Bekah, Ashley and herself at another.